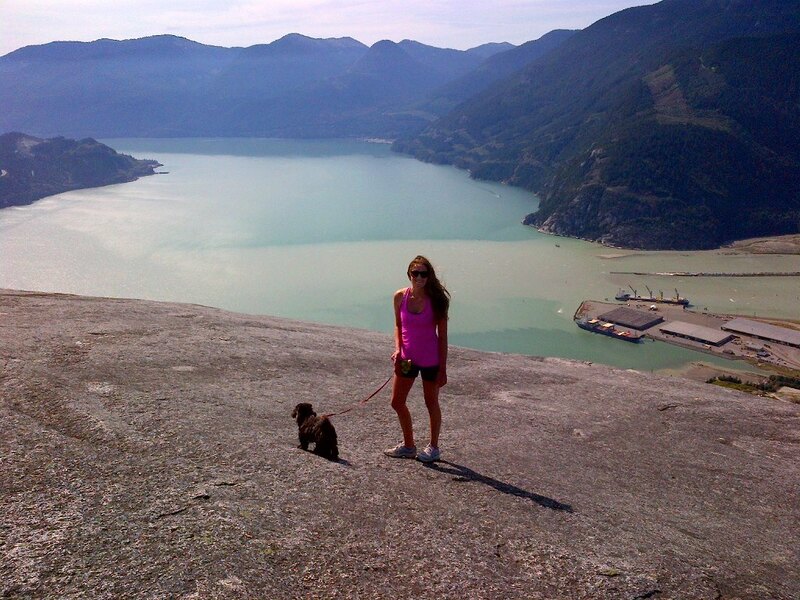 BC SPCA A Second Chance - 2014 Lauren F.
After my family dog (Boomer) passed away a couple years ago I was devastated. Even though I was not living at home anymore, I missed coming home to him. Moreover, I was working from home at the time and found myself lonely. I had heard from a friend that the thing to do was to adopt a dog if you do not have time to train a puppy. So I started checking the BCSPCA site one or two times a week. One week I spotted the cutest little black Lhasa Apso - Maltese cross. He literally looked like an Ewok. I am a Star Wars fan, so that was a huge plus. I read that he was an adult and had male aggression problems from time to time, but other than that he seemed like the perfect little animal for me. I got on a ferry and made my way out to Vancouver Island to meet him at the Victoria branch. I got there and the workers gave me a tour of the facility and introduced me to some of the cats and dogs. I was more than eager to meet Mackenzie at this point. Finally, I got to meet him and they had given him a hair cut so he looked like a different dog. No matter, I knew it was right. He looked so sad and I refused to leave him. The lady with me introduced me to a similar dog that was 2 years old and trainable, but I was not budging no matter what anybody said. I was determined to have him. Before everything went through, I brought little Mackenzie for a walk around the area. He was so happy to get outside and literally peed on everything. He was such a happy little guy, until we came upon a bigger dog. He had a little freak out (as many small dogs can) and it scared me, but I knew he needed a second chance. I was not about to let the system take its toll on him. After some paperwork and more warnings, he was finally mine! I picked him up and put him in my car and that was that. The first 6 months were some of the hardest times of my life. My patience, understanding, and adaptability were all tested time and time again. I battled through and even though he is still a challenge and sometimes a terror, I have learned how to deal by focusing on the good and not letting the bad get me down. I cannot imagine my life without my little mean-muggin’, vacuum cleaner, and terror of a best friend.